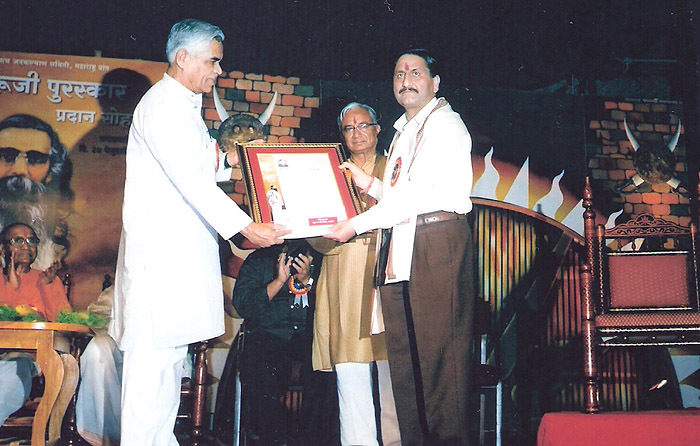 shwani Kumar Chrungoo, President, Panun Kashmir was conferred the “Shri Guruji National Award-2011” by the Jan Kalyan Samiti, Mahrashtra, in a glittering programme of Annual awards at Kanakveli (Konkan) Maharashtra. This coveted award is being given annually by the Jan Kalyan Samiti at the national level for exemplary contribution in various fields of national cause. 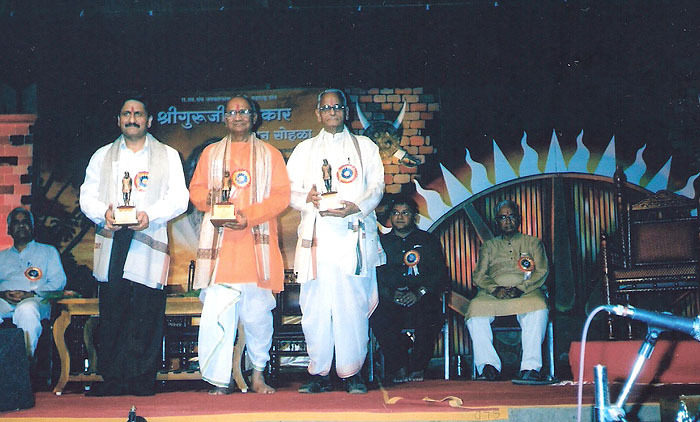 This year this prestigious award was given to the three luminaries who included Shri Madhukar Kulkarni for community service, Shri Vedlankar Humne for literary works and Shri Ashwani Kumar Chrungoo for his and his organization’s brave and consistent efforts in the struggle in exile of the Kashmiri Hindus. The Award comprises a shawl, an amount of Rupees Fifty one thousand, memento and a citation highlighting the achievements of Shri Ashwani Kumar Chrungoo. 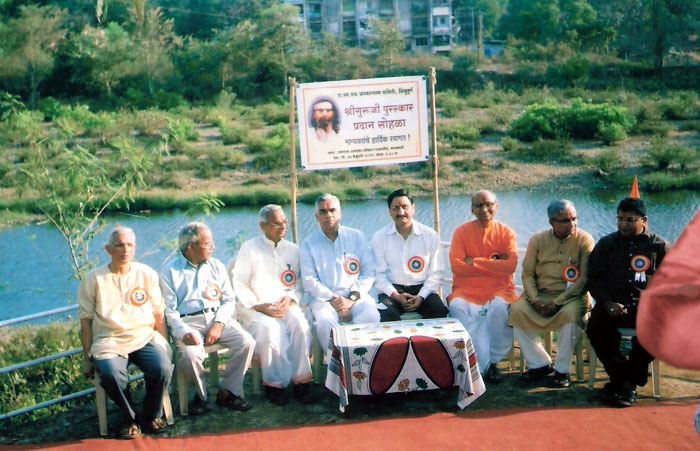 The programme was presided over by Prof. Anirudh Deshpande, a well known educationist and Shri Arun Nalawade, a TV Marathi celebrity was the guest of honour. 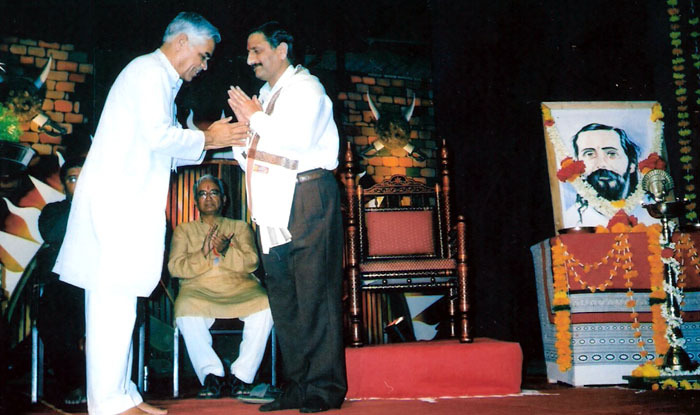 The President of Panun Kashmir was specially honoured on this occasion for his outstanding contribution, selfless dedication and courageous efforts to keep the issues pertaining to the Kashmiri Hindus alive during the two decades old struggle of the Kashmiri Pandits. 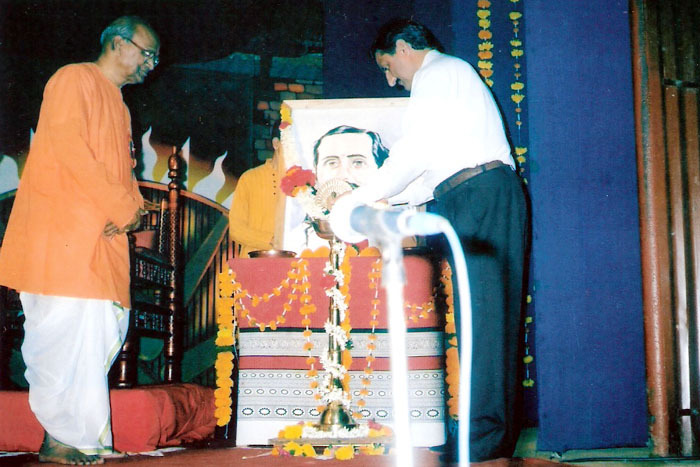 The efforts of Panun Kashmir to take the issues and concerns of the Pandits to all available forums in and outside the country and projecting the demand for a separate homeland in the valley were well recognized in the citation given on the occasion. In his acceptance speech on the occasion, Shri Ashwani Kumar Chrungoo thanked the organizers and the people of Maharashtra for recognizing the efforts made by the displaced community under the banner of Panun Kashmir. He also appreciated the support and encouragement given by the people of Maharashtra to the displaced community and in particular in the field of education. 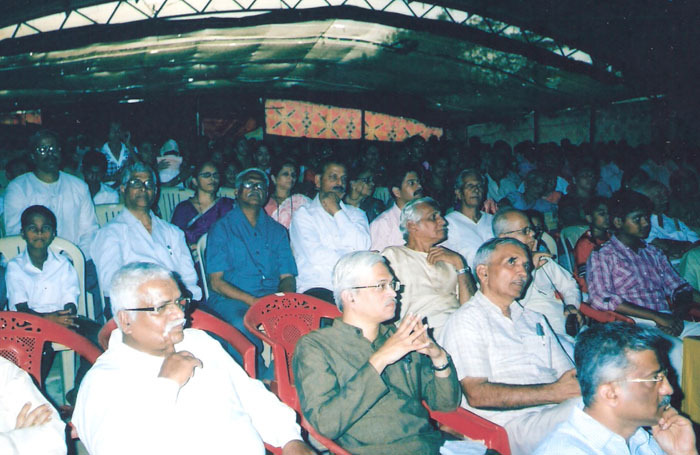 Shri Chrungoo made it clear that the issue of Kashmir and Kashmiri Pandits is a national issue and has been taken up by the Panun Kashmir as a national mission all these more than two decades of exile. The struggle of the displaced community, which is the indigenous community of Kashmir, has regional, national and international dimensions. It is heartening to note that the nationalist forces in the country have started recognizing the importance of the struggle of the Kashmiri Pandits in the national perspective. The Hindus of Kashmir have a non-negotiable claim on the territory of their land of ancestors, Kashmir. 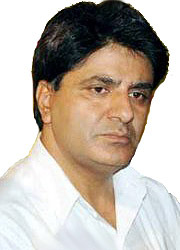 We make an appeal to the people of the country to align themselves with the mission of Panun Kashmir to strengthen the national cause in the state of Jammu and Kashmir and thus pave a way for the ultimate resettlement of the Kashmiri Hindu displaced community in their homeland in the valley of the Kashmir. Panun Kashmir will, in the spirit of the sanctity of the award, prove itself equal to the confidence that has been reposed in it by the organisers of the award ceremony.